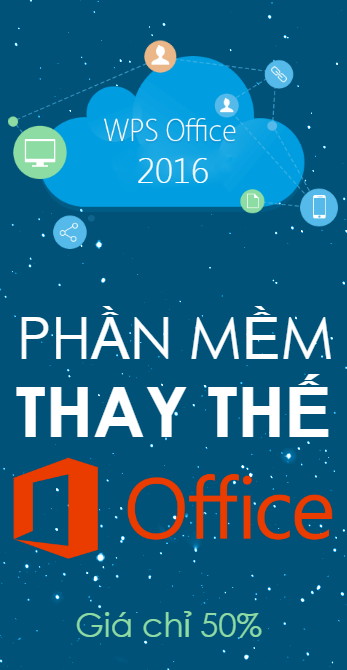 Là nhà cải tiến hàng đầu thế giới về công nghệ logo và tiêu đề 3D, Zaxwerks phát triển phần mềm cho thị trường video, phát thanh, phim và web kỹ thuật số. Khách hàng của chúng tôi bao gồm ABC, NBC, CBS, Dallas Cowboys Football, TBS SuperStation, Fox Sports, Tech TV, Pixar, Bank of America, và nhiều cơ sở sản xuất bưu điện và đài truyền hình khác trên thế giới. 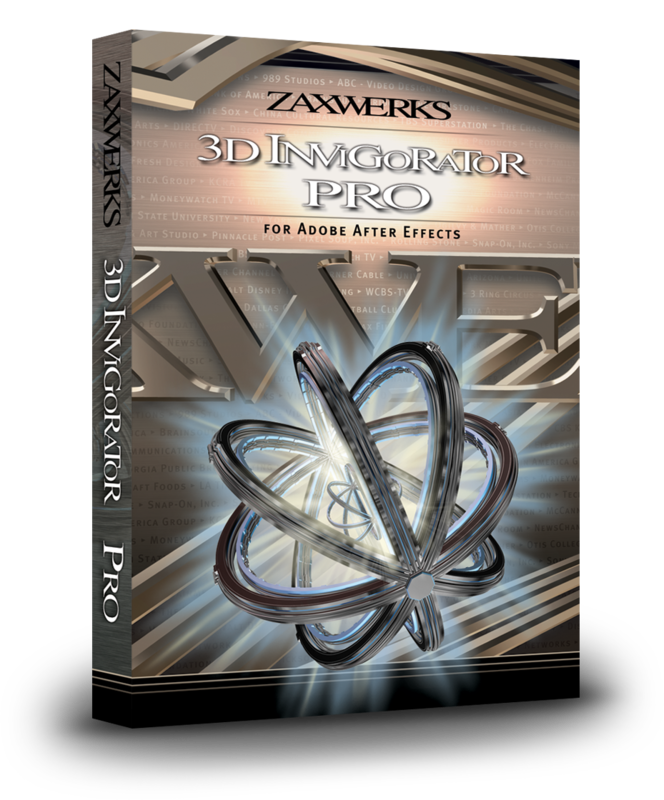 3D ProAnimator is a revolutionary new 3D plug-in for After Effects as well as a Stand Alone Application. 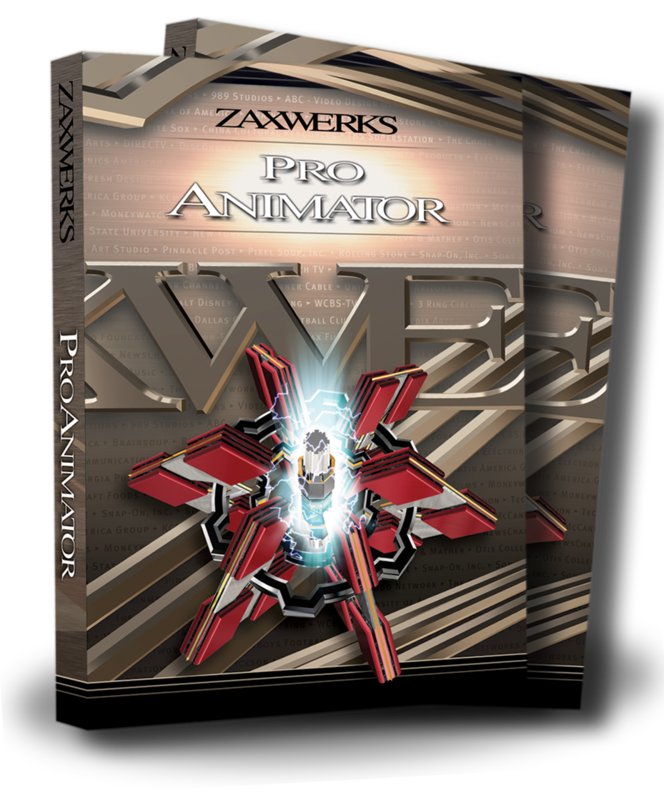 Combo = plug-in for After Effects + Stand Alone Application. 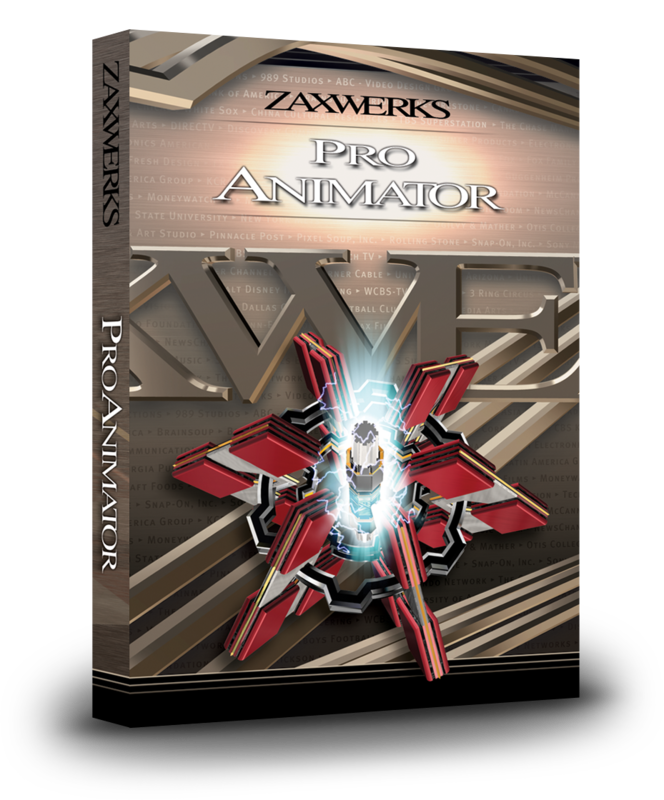 Standalone: typically used by video editors or people who need graphics but don't want to make them inside of Adobe After Effects. Plug-in for After Effects: a revolutionary new plug-in that creates 3D motion graphics directly inside of Adobe After Effects. title and logo animations directly inside of Adobe After Effects. Speed Is Everything. And that's what ProModeler excels at. Think what it would be like if you were able to cut 80% off the time you spend modeling? 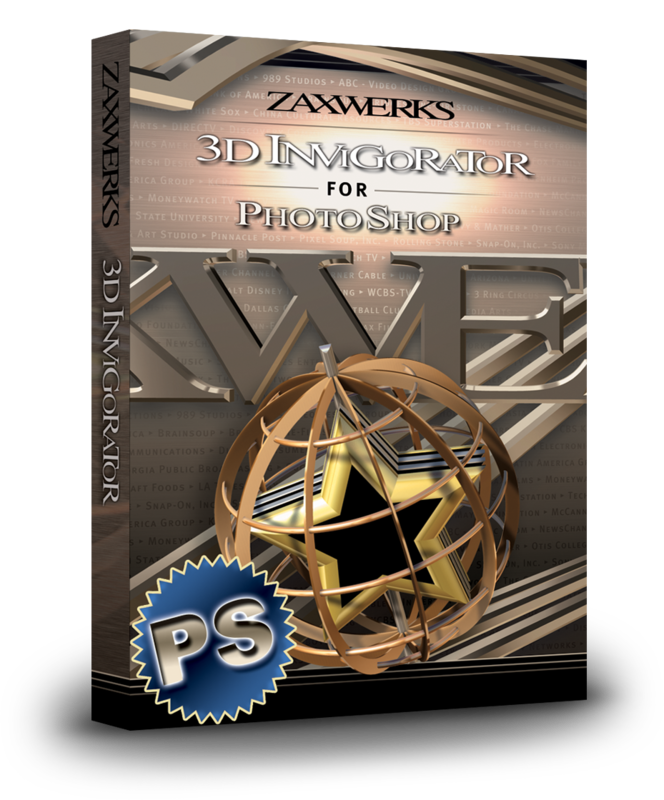 3D Invigorator gives you a true 3D environment inside Photoshop. 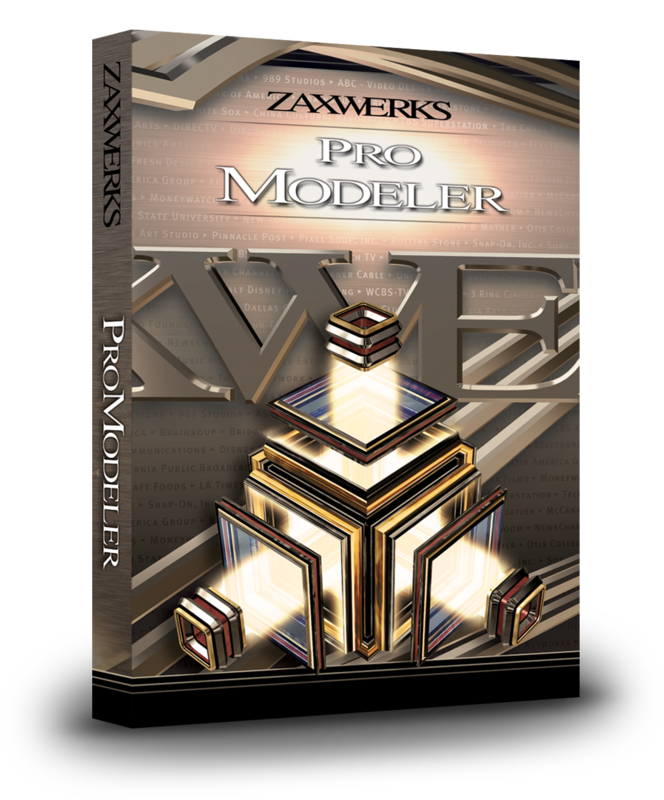 With an amazing texture and render engine, you can quickly created stunning 3D logos and objects. 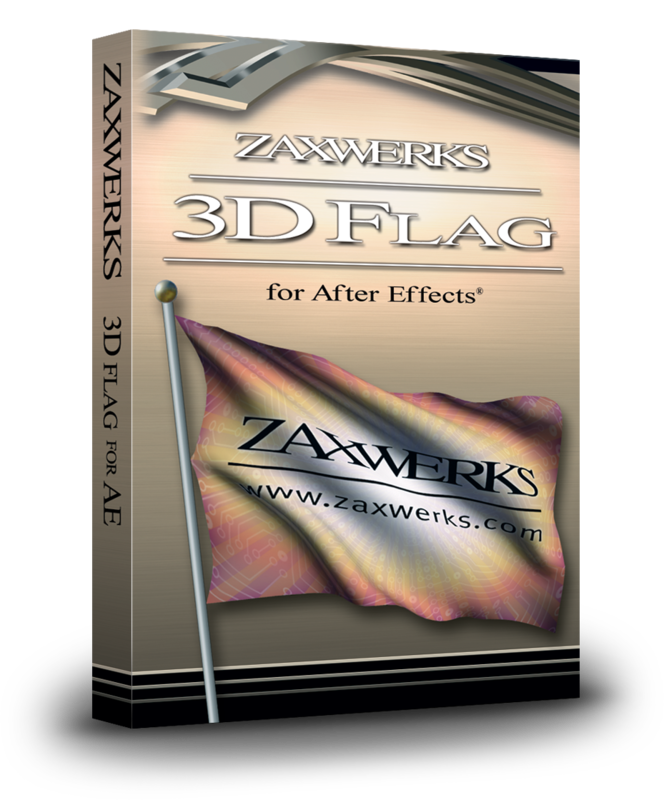 A plug-in for Adobe After Effects that turns any picture, comp or movie into a realistic animated flag. The motion of the flag is based on physics so keyframes are not needed to get realistic motion.